Isolated Island in the Sea of Japan, attracting fishing and birdwatching. (upper Left)The position of Hegura-jima Island. 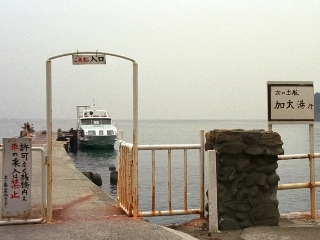 (upper Right)The only transportation approaching to Hegura-jima Island is this daily liner boat from Wajima. 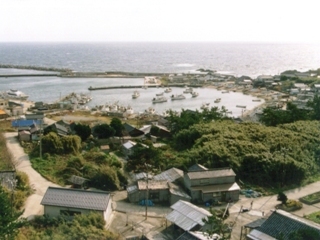 (lower Left)Overview of Hegura-jima fishery Harbour. (lower Right)Police station is closed in winter season. All Photo in Dec, 1999. 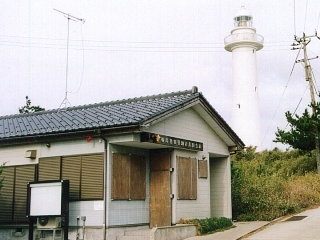 Located at the entrance of Osaka bay, this island was a military strategic point. Now visitors come for camping and swimming. (upper Left)The position of Tomoga-shima Island. 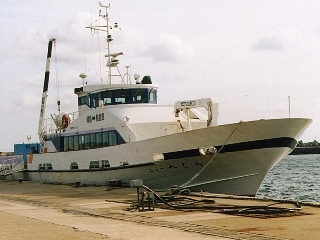 (upper Right)A liner boat arrived to the pier of Tomoga-shima Island. (lower Left)Sign posts of National Park. (lower Right)The ruin of gun battery. All Photo in Sep, 2000. An island of Yae-Yama Islands in Okinawa. This island is uninhabited due to serios typhoon in 1969, and developed as a subtropical botanical garden for tourists. (upper Left)The position of Yubu-jima Island. (upper Right)The only transportation approaching to Yubu-jima is water buffalo cart from Iriomote-jima Island. 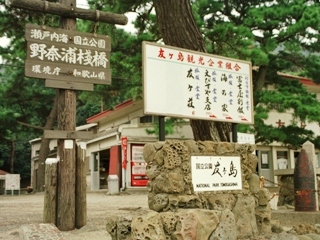 (lower Left)Now, Yubu-jima is subtropical botanical garden. (lower Right)Electoricity cross over the channel. All Photo in Mar, 2011.